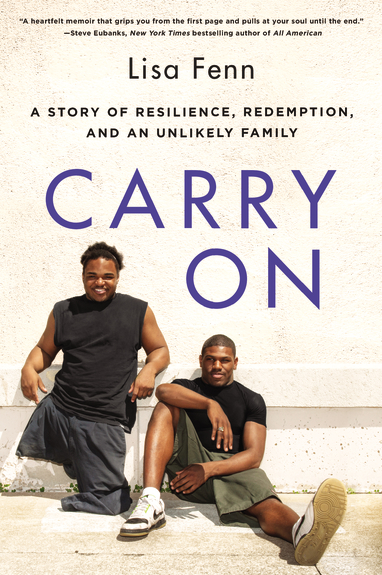 The (re)imaginings contest and celebratory event is one of several co-curricular activities surrounding the Fall 2018 college-wide common read, Lisa Fenn's Carry On. At the beginning of the Fall 2018 semester, the (re)imaginings team will launch a Call for Submissions asking students to “re-imagine” sections from Fenn's text. Students can (re)imagine any portion of the text in any medium. Examples of possible approaches include the creation of a poem, an essay, a musical score, a short film, a speech, a photograph, a play, a science project, a poster, etc. So while one student with artistic inclinations might create a sketch or an oil painting of some aspect of the piece, another student might write a song that works as a soundtrack to the book. A culinary student could re-render a scene in the form of a recipe, while a Visual Communication & Design student could use the same scene to create a movie poster or interactive game. The possibilities are endless. The submission could be tied to a specific classroom assignment or course, but it certainly doesn't have to be. Once all submissions have been received, judging will take place and finalists will be notified. Selected entries will be honored and displayed at the college-wide (re)imaginings celebratory event on Friday, December 7 from 6 - 8 p.m. at Tri-C's Hospitality Management Center on Public Square. *Guests will be able to taste and vote on the culinary entries in real time.